In the vastness of Africa and Afghanistan, there are dozens of animals just waiting of you to be saved from the horrors of war. 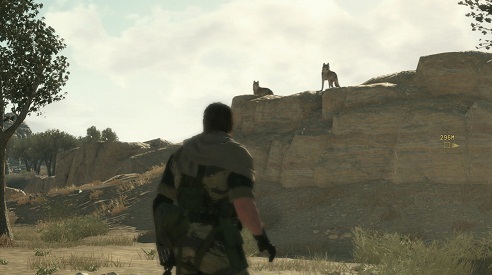 In MGS 5: The Phantom Pain, you can collect animals during your missions in various ways and send them to the Animal Conservation (Zoo) Platform of the Mother Base. You will also get some GMP to our account for capturing animals. Where to find the animals and how to capture them, we will tell you in this guide. - The Fulton Recovery System you have to collect mainly the large animals. - The trapping cage is a support weapon that you can develop early in the game and use it to capture especially for small to medium-sized animals. To pick up the staff of the Mother Base takes care automatically. - You can collect some smaller specimens with the hand, unless they have previously struck with stun guns. All species are extremely rare. Some exist only in isolated habitats and you must set up your cage traps to partially hidden places to get hold of a new species. If you have no luck, return to LKZ and try again. In the table below we listed all 47 animals, including, location, GMP reward and fishing method. The Oriental White Stork is a special feature. You can stun and collect only during Mission 11! Pay attention when you capturing that gray wolves, brown bears, strips jackals, African wild dogs, they are nocturnal and sleep during the day. Conversely, it is with cashmere goats, Karakul sheep, wild asses, Anglo-Nubian goats, Boer goats, Bohm's zebra, okapi and wild asses, which are diurnal and sleep at night. Once you have collected all wildlife species take them to your Mother Base, and you will get the Conservation trophy.